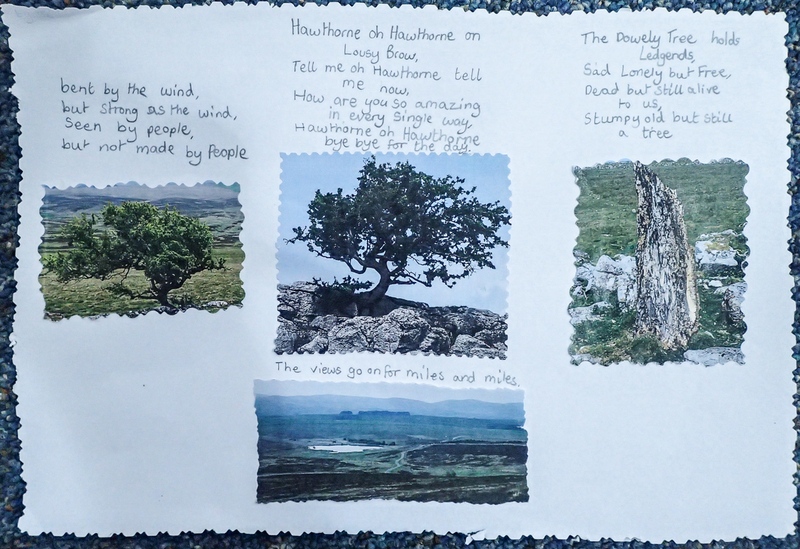 The children who came to the Little Asby Hawthorn wove a poem together that talked about so much more than the single hawthorn tree. We began our day at Sunbiggin Tarn where the children soon became captivated by the small details around them. In their notebooks they created words to describe the sound of skylarks singing and grass moving in the wind, and even the taste of clovers. There was curiosity about the tiny flowers in bloom, and plenty of enthusiastic photography. On our walk up to the Hawthorn we stopped at the Dowly tree: the lonely, melancholy tree that is now a bare bird-pecked stump. Their creative minds spewed out stories of witches and strange night-time goings on and poems began to emerge. One of the most exciting things about the Hawthorn’s environment is the limestone pavement, and what this harbours. There were shrieks of excitement when a lizard was spotted and, later, a frog, and the children were peering into crevices to see the plants growing in cool shade. They thought long and hard about the way this single tree had managed to grow so big and strong, when around it other trees are nothing more than small bushes, lying flat against the rock. At the tree there was a reverence, almost, in its presence, and a gentle touching of its bark. Some of the bark rubbings made it into the collage created at school that became the backdrop to their video. 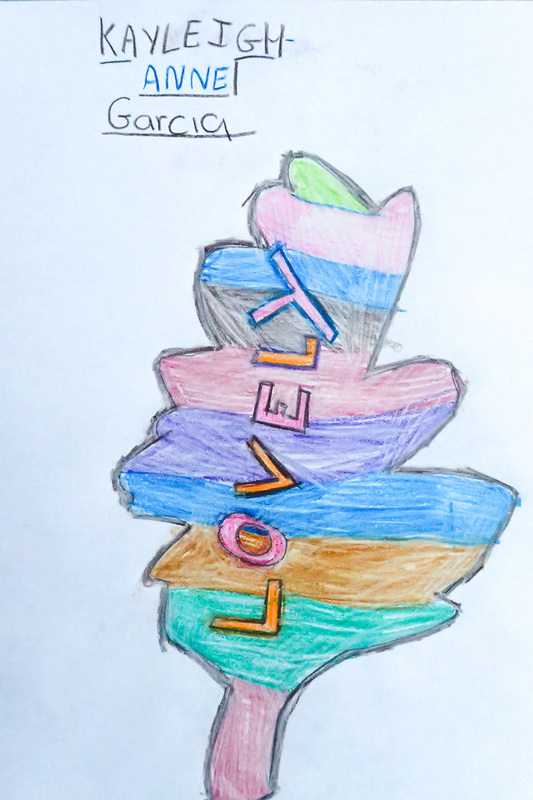 As part of our work with schools we take time to find out what the children think about trees and what they provide. 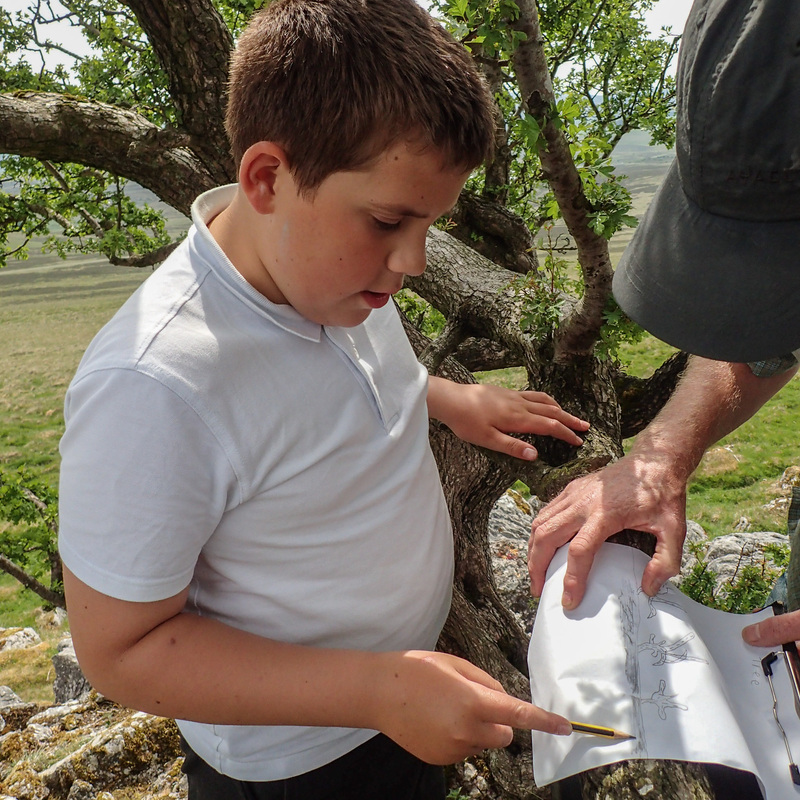 As we gathered their suggestions – from oxygen and clean air to dens, paper and furniture – we realised that many of the children were giving, in their answers about trees in general, a reflection of what they got from their visit to the hawthorn. A sensation of peace, feelings of wonder, a place to let uncomfortable feelings disappear, a sense of freedom. We’re sharing the video here to show their joint creation made from their drawings and a collectively created poem, just one of the many outputs that have contributed to a beautiful collection of work. While on Sunbiggin Tarn swans elegantly glide. In Afro heather, frantic flying of bees. With melancholy, mystery in a circle of stone. A living soul giving life, this soft, kind tree. There’s a refreshing breeze but some of us pant. We’re sticky, sweaty, and suncream tastes bad! And in this moment we’re peaceful, open and calm. Its battles and hardships, stories untold.